Searching online for Aluminium Canopy Perth ? At Great Racks you will get the best value for your money whilst getting a top quality built canopy. 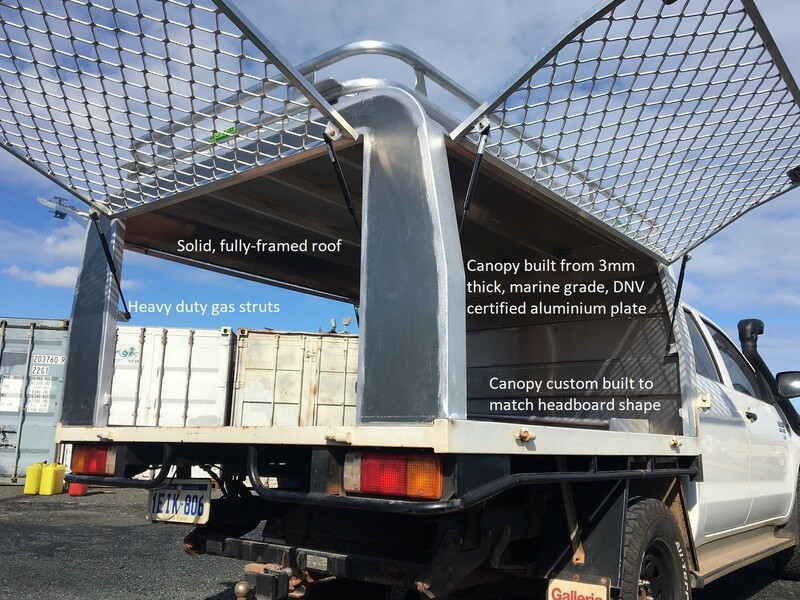 We custom build heavy-duty and practical aluminium canopies for our customers in the Perth area and beyond. 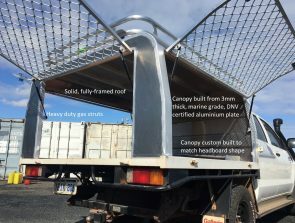 There are many generic aluminium canopies on the market so you need to do your homework before you choose the best canopy for your vehicle. Ask the question, what material is the canopy made from? 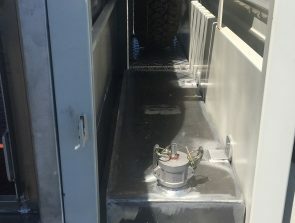 What thickness, what is the grade of the aluminium? 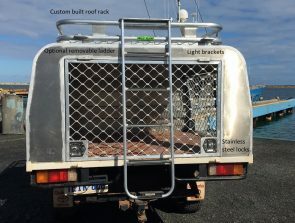 What is the quality of the gas struts and the locks used? 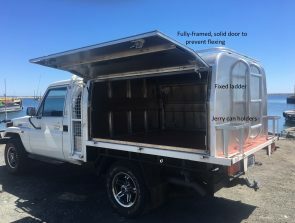 Is the canopy fully welded, or is it held together with pop rivets and screws? Great Racks doesn’t cut corners or cheap out on materials. 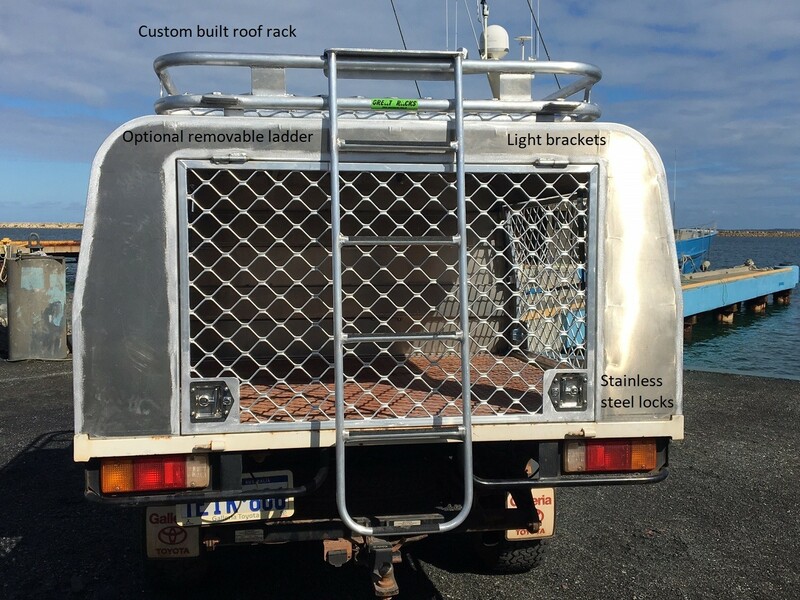 We only use 3mm thick aluminum plate in marine grade and all our canopies are fully framed and fully welded. 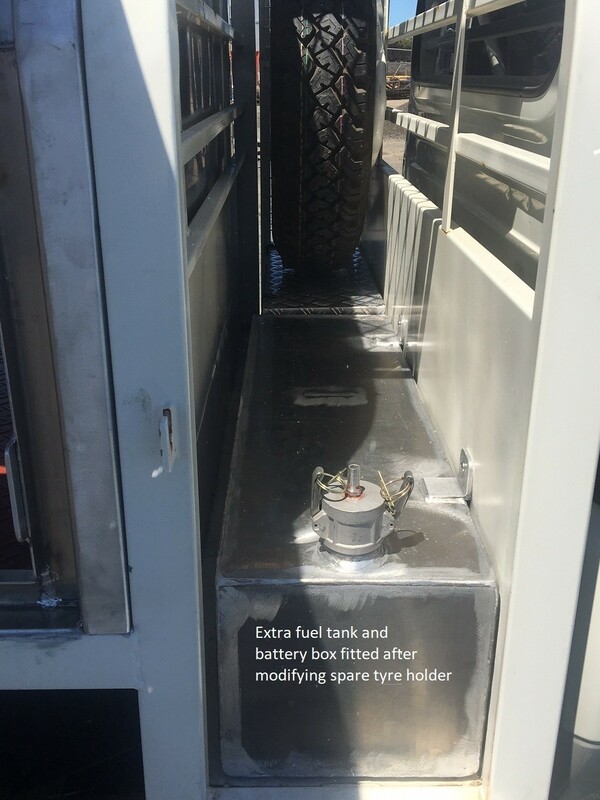 When you open our canopy doors, they don’t flex or warp as the thicker material and longitudinal framing throughout ensures they hold their shape and our heavy duty gas struts provide the right amount of support. Finally, we use quality locks, all keyed alike. The beauty of the custom aluminium canopy is that it’s built to follow the lines of your vehicle to ensure that your canopy complements your cab and the width of your tray. Our team of qualified and experienced aluminium fabrication specialists will construct your aluminium canopy to your specifications to suit your needs. We go the extra mile to exceed our customer’s expectations and reviews like the one below reflect the pride we take in our work. Call us now on 0424 700 560 for all your aluminium canopy needs.